Biking the Really Big Table back from bushCON. 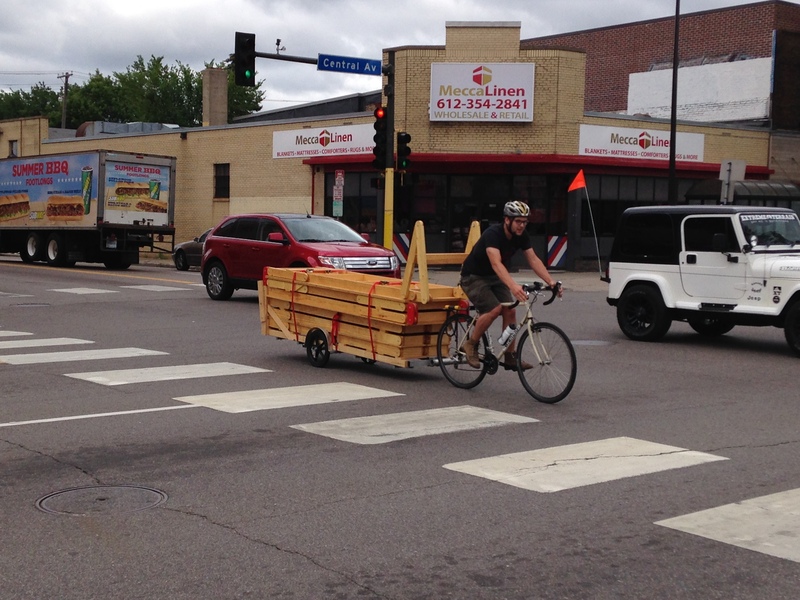 Biking the Really Big Table to bushCON. Jordan Area Community Council (JACC)- Better Bus Stops Project, Engagement Event. Below are a few events from 2015. See you in 2016! 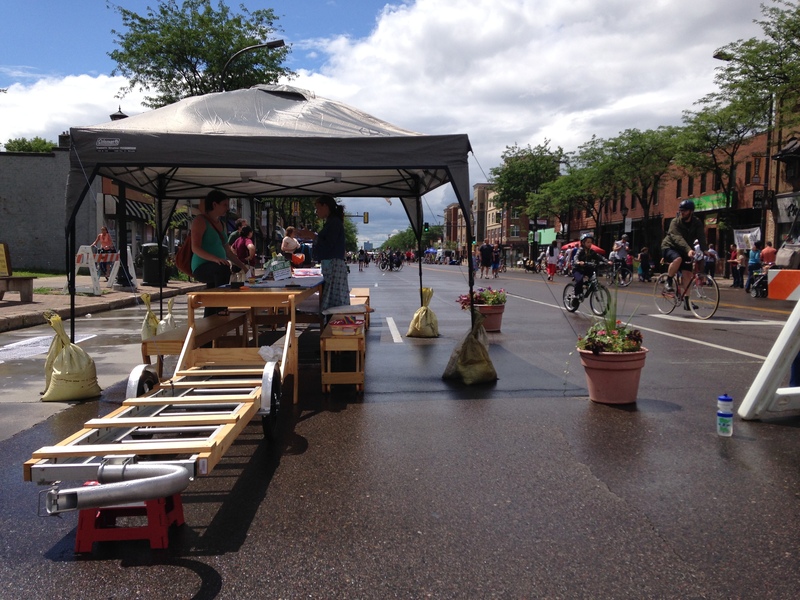 May: Little Mekong pop-up market community event, University Avenue, St. Paul. 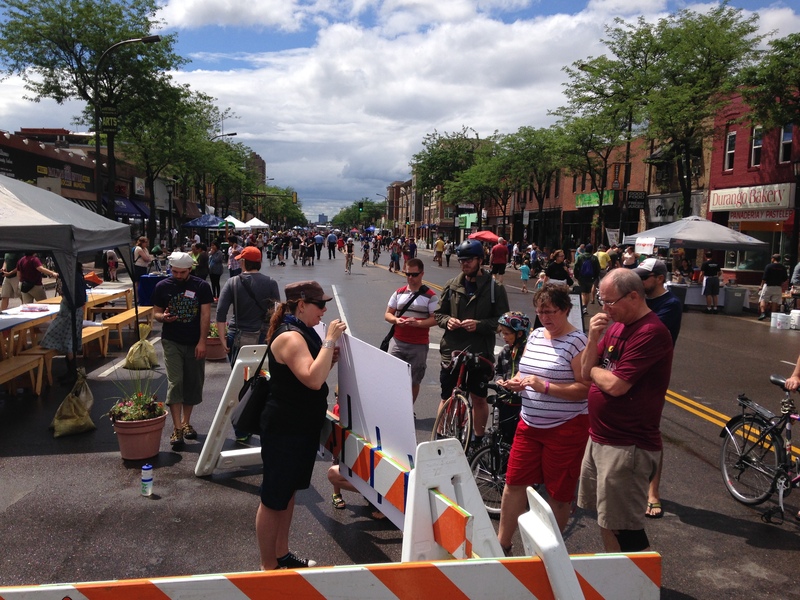 July: Art of the Avenue, West St. Paul. 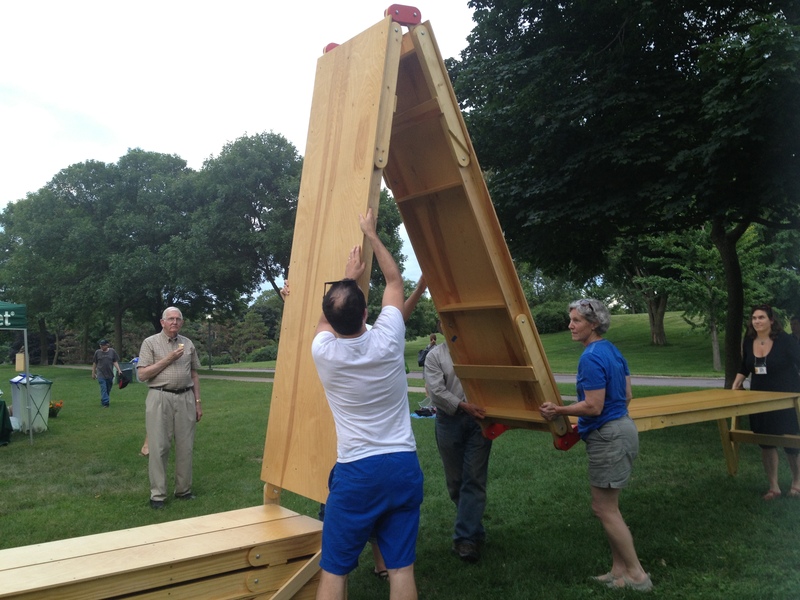 The community helps to assemble the table. Art on the Avenue, West St. Paul. 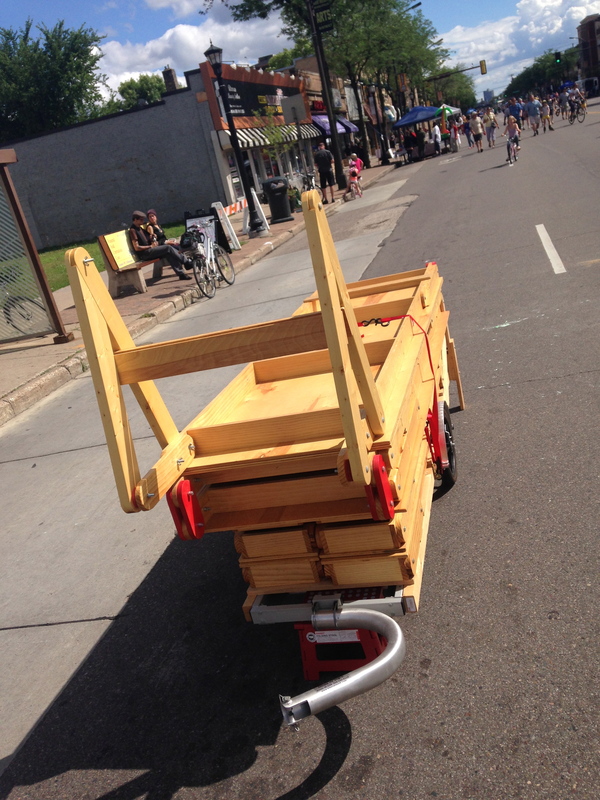 August: All set up for Open Streets Minneapolis, downtown. 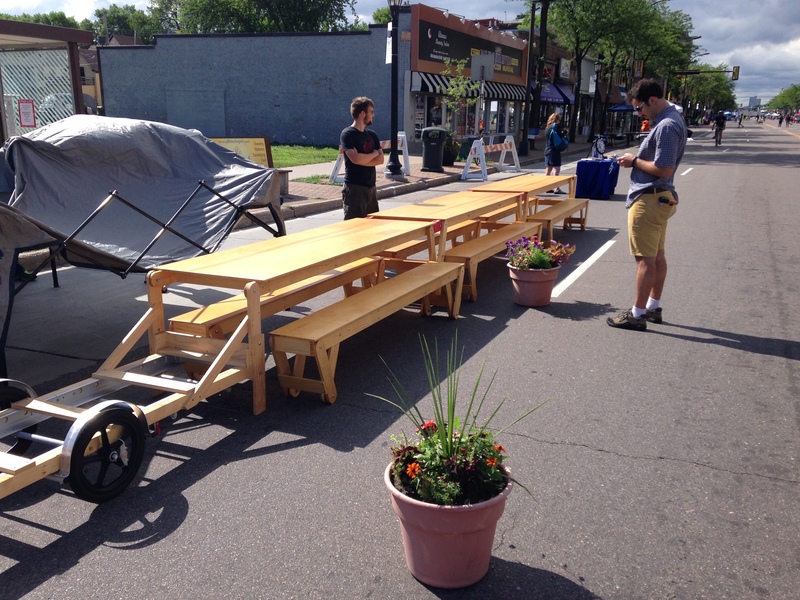 The Really Big Table was part of Open Streets Mpls last Sunday! 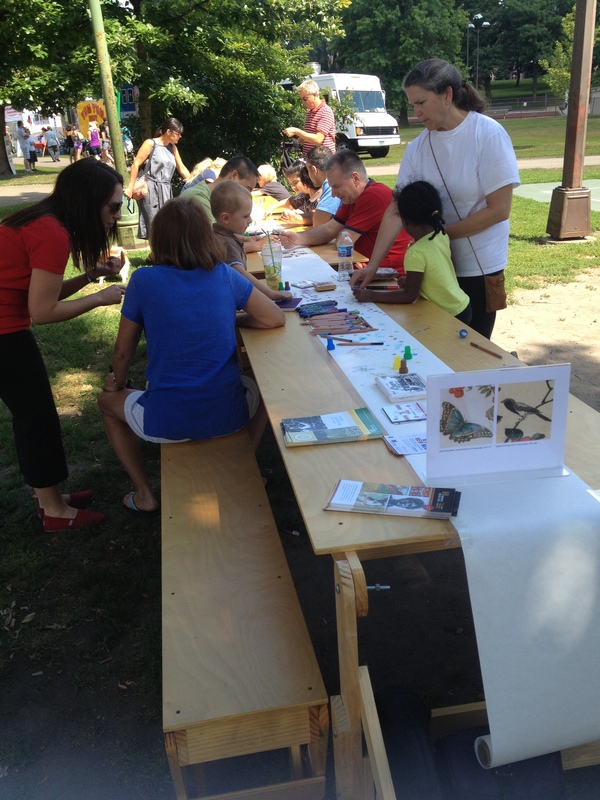 Hennepin County used the table for project outreach on the Lowry Ave NE Corridor Plan. Delivery to Central Avenue NE. The unfolded table is ready for the day. 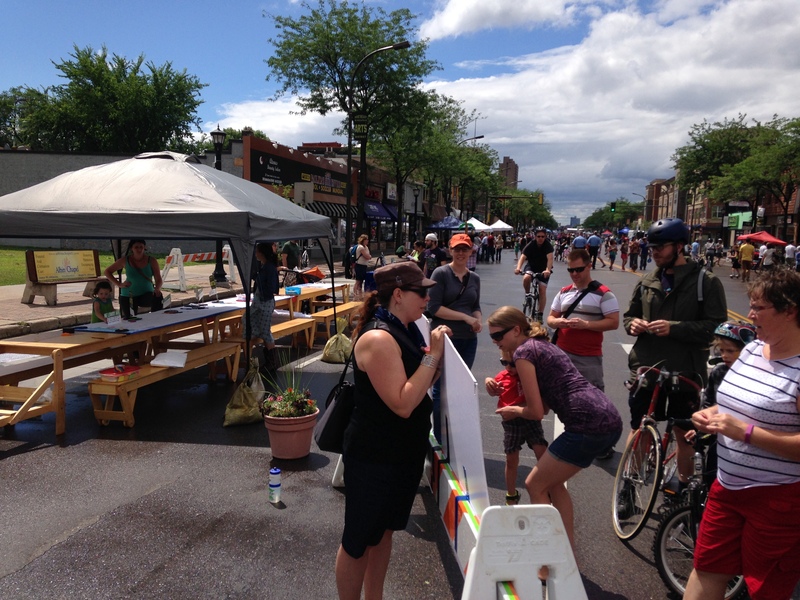 Open Streets Mpls in full swing. 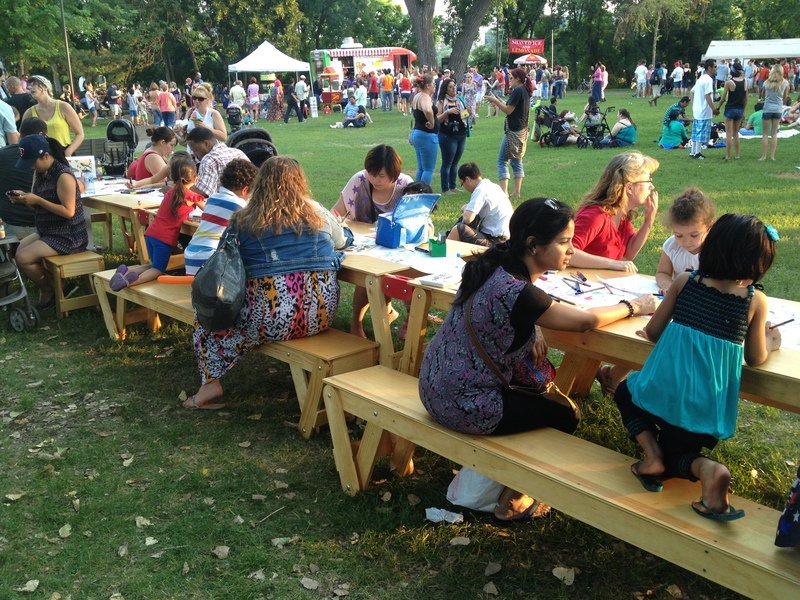 The Really Big Table will be joining up with Minneapolis Park & Recreation Board to be park of the Indigenous Series which is park of movies and music in the parks. 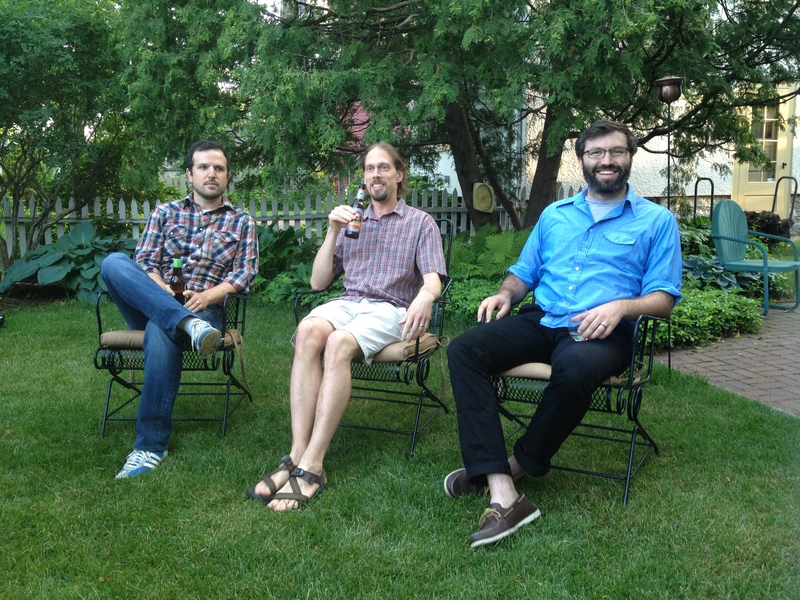 The next three Tuesdays we will be Father Hennepin Bluffs Park from 6pm till dusk. Feel free to stop by and say hi! 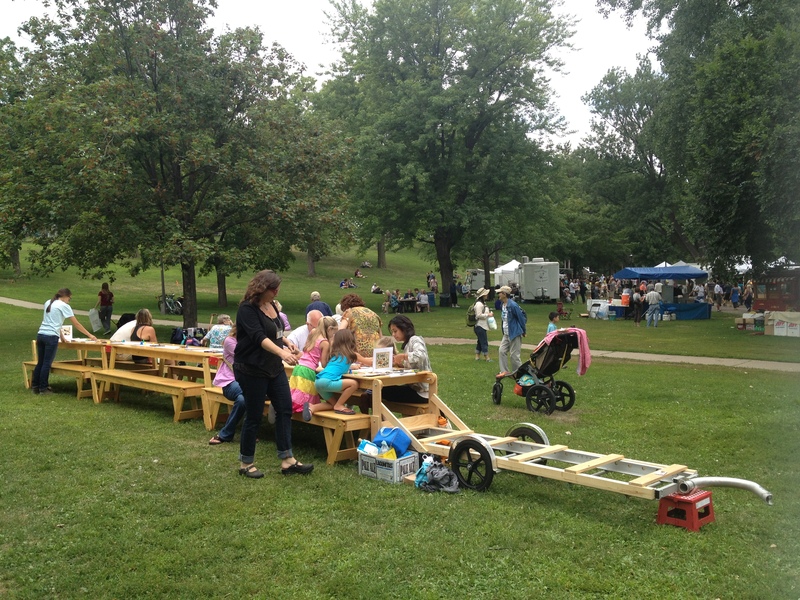 The Really Big Table was really busy last weekend with two events. 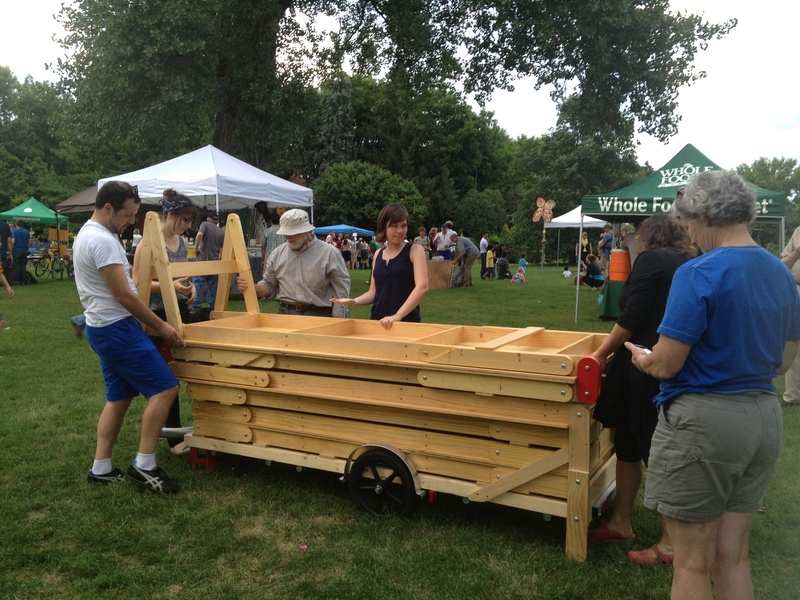 Saturday we hung out in Loring Park with the MIA and Sunday in Powderhorn Park. Some really big drawings were made! Table in Public Art Review! 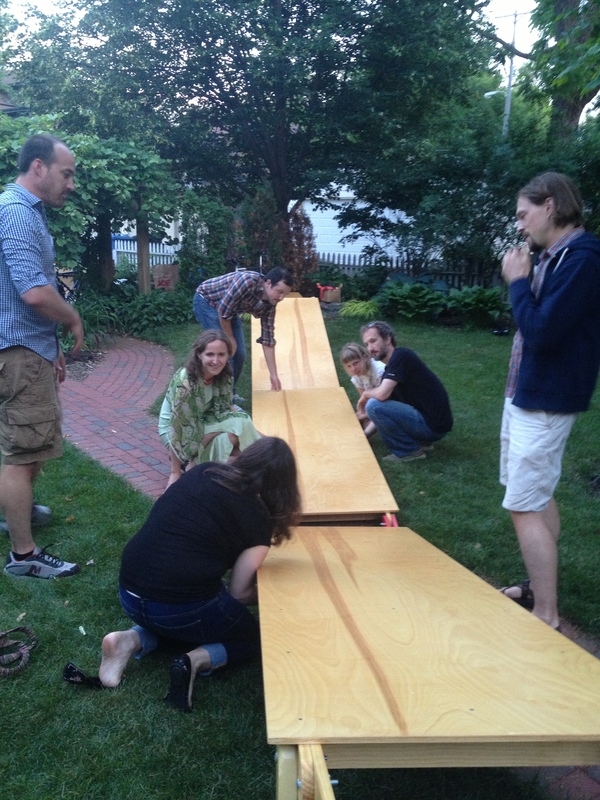 The Really Big Table has been on the move this summer with backyard dinner parties, Northern Spark and collaborating with the MIA! We just wanted to let you know the next few dates in case you wanted to stop by and say hi! We have a few more dates in the works and we will keep you updated! Really Big Table and Bees at the Pollinator Party! 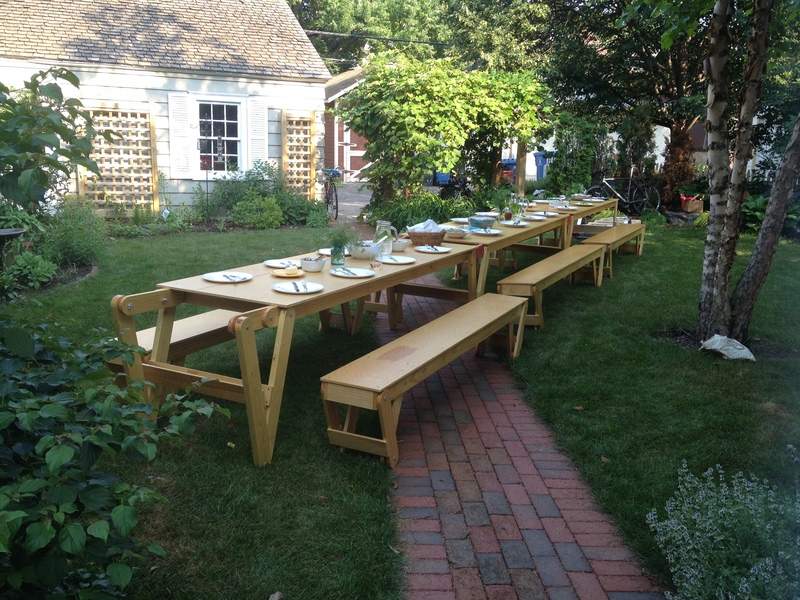 The Really Big Table took a trip to the Lyndale Gardens on July 25th for the Pollinator Party! We were joined by many bees and even more local families! 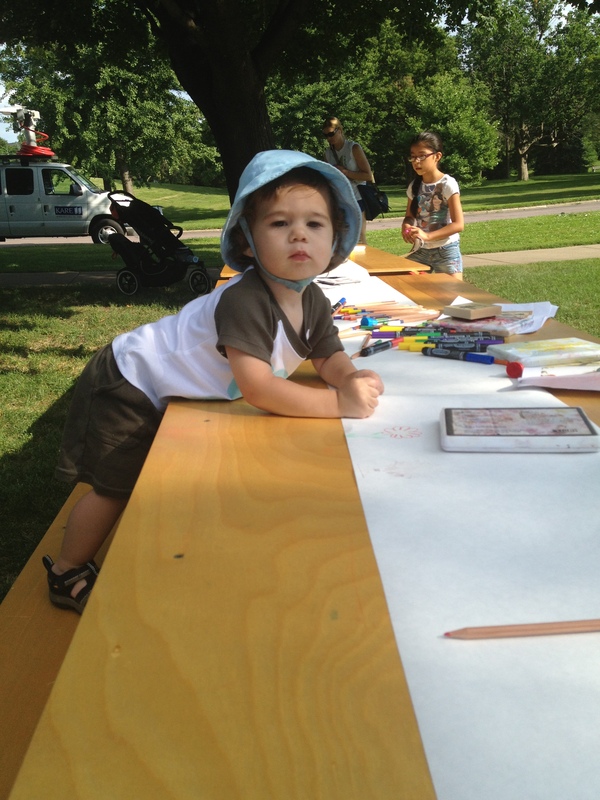 Still one of our biggest(smallest) fans Hudson once again dominated the table drawing space. Thanks MIA and Minneapolis Parks for another fun night! Hudson loving his Mom’s art! New friends helping fold the table up. Big Table ready to ride home after another fun night! 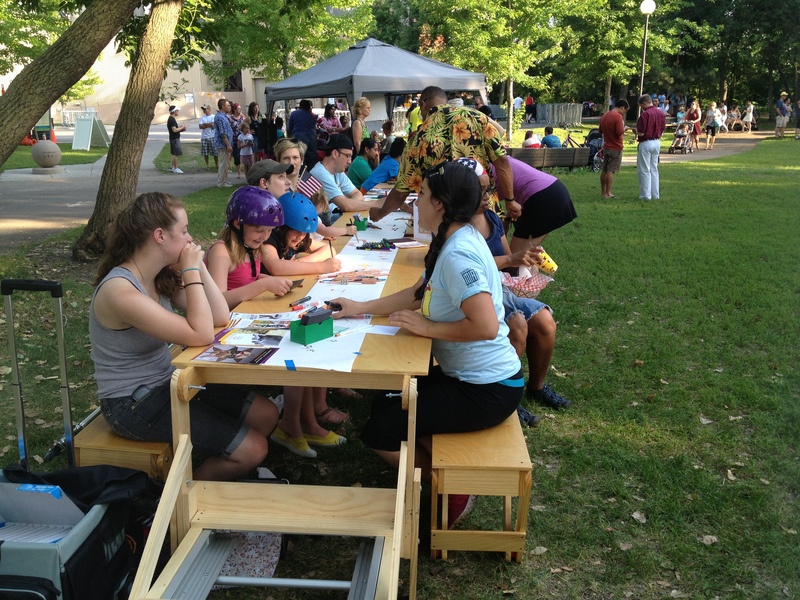 The Really Big Table started off it’s summer collaboration with the Minneapolis Institute of Arts this summer on the 4th of July. 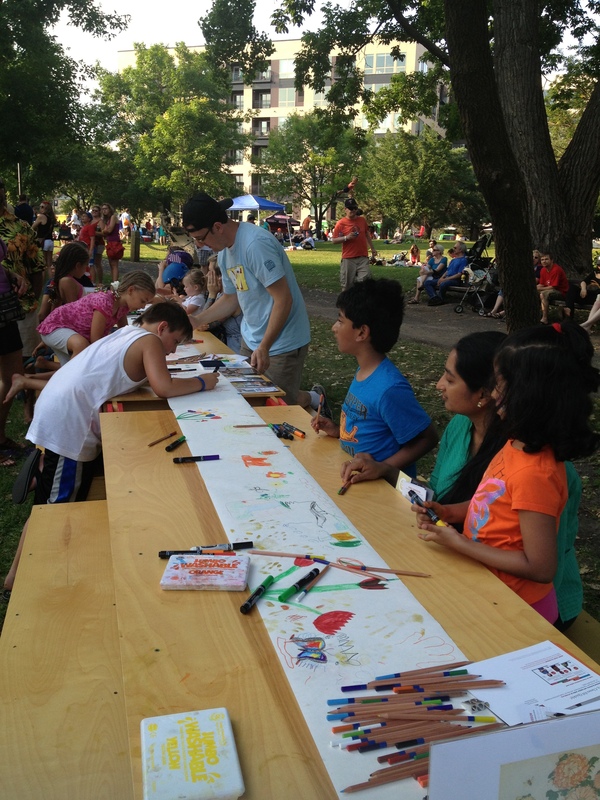 It was a bustling event where many people took a seat at the table and added to our really long drawing! 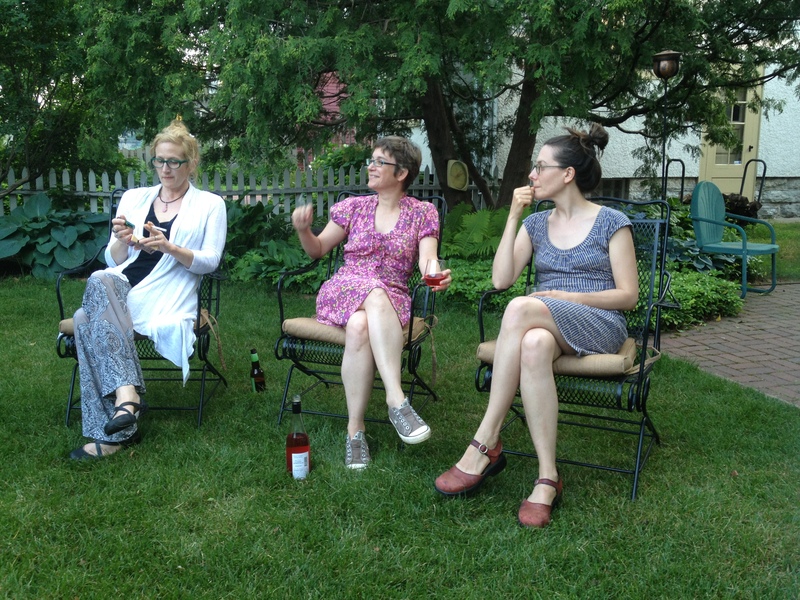 The Really Big Table enjoyed a night of domestic celebration in the backyard of Sarah Schultz’s house,Director of Education and Curator of Public Practice at the Walker Art Center. What a perfect evening with great food, friends and conversation!